The Main Event – Do you have a winning Strategy? Strategy is a multi-activity challenge hike consisting of 30 bases of varying difficulty and complexity set around our 3,000 acre site. Each challenge will earn a different amount of points and as a team you will have to plan your route and decide which challenges to visit in the allotted time to score the most points. 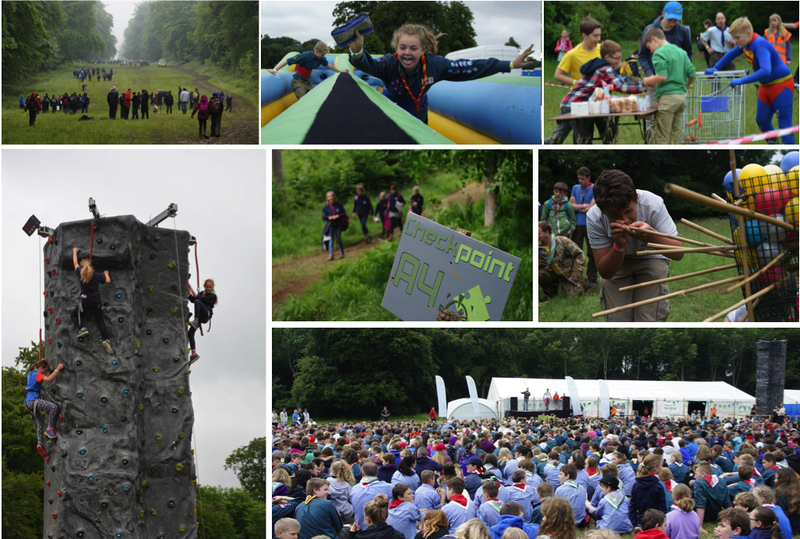 Last year bases included everything from pioneering to supermarket sweep; Rock-Climbing to Zorbing and nail painting to Rifle Shooting! Who knows what this year will hold but trust us – all your physical stamina, mental prowess and scouting skills will be tested! Cirencester Park plays host to Strategy with our team taking the stress out of the whole event. We provide full catering, hot water, running warm water wash and toilet facilities, so leaders and participants can enjoy themselves. In the evenings there’s a host of entertainment; In The Venue there’s a disco, talent show and host of onstage shenanigans. We also have The Café where you can get scrummy hot and cold food and drinks to keep you going. It also houses an eye watering pick’n’mix display in our Tuckshop. As well as all the fun above make sure to check out The Retreat; Our onsite bar hosts a selection of alcoholic and non-alcoholic drinks plus an array of more age appropriate entertainment. Our resident singers, musicians and gameshow hosts will keep you entertained all evening.